The Smart Power Module is a combination of both ABS plastic and aluminium giving it a durable, contemporary structure that is supplied in a range of metallic colours. Suitable for charging mobile phones, MP3/4 players, digital cameras and portable gaming devices The Module also has 3 sizeable print and engraving areas. 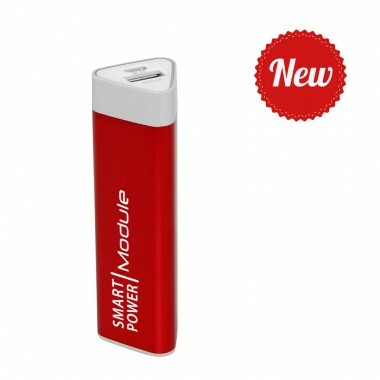 The Smart Power Module comes supplied in a clear plastic presentation box which includes a user manual and a micro USB charging cable for charging the powerbank. Material: Aluminium & ABS Plastic. Battery Capacity: 3.7V, 2200 mAh.